Professional athletes of all kinds have discovered that adding Pilates to their training can improve performance, reduce injury, speed recovery and help their hardworking bodies stay balanced and healthy &lpar;Caple 2016; Knowlton 2016; Knowles 2016; Saxon 2016&rpar;. For recreational athletes or simply athletic clients in general, Pilates can provide the same benefits professional athletes enjoy. A well-rounded program, particularly one offered in a fully equipped Pilates studio, can do wonders for athletic clients of almost any age, ability or sport. Let&apos;s look more closely at the advantages. Pilates is a whole–body exercise system that can develop strength, functional flexibility, coordination and balance in athletes wanting to improve their skills or in clients returning to an activity after an injury or a hiatus. Here&apos;s how. According to Jonathan Hoffman, PT, developer of the CoreAlign® training system that categorizes exercise methods as foundation training, fix techniques or fun activities &lpar;Hoffman 2016&rpar;, Pilates is a type of foundation training. Foundation training describes an exercise method that works to consciously improve movement quality in a safe, effective manner. It is distinct from the fix techniques used in rehabilitation and from fun activities performed with minimal conscious thought. As foundation training, Pilates helps clients improve their movement patterns by engaging the mind to change the body. Helping clients to feel their imbalances and teaching ways to improve them is a key element of Pilates and of mind–body training in general. One good case study of effective foundation training involves a client of mine I&apos;ll call Alice. She was moderately overweight and walked with her hips in external rotation. Alice decided to join Team in Training and work toward running a marathon. She had never been much of a runner or an athlete, and she was 38 years old. Through Pilates, she worked on aligning her legs in a more parallel position, stabilizing her core, and developing strength and endurance in her lower body. Pilates, combined with the coaching she received from her Team in Training mentor, allowed her to run a full marathon 8 months later without significant injuries. Pilates teachers often use lumbar stabilization exercises and concepts in their sessions, and many Pilates exercises incorporate lumbar or lumbo–pelvic stabilization. In athletic clients, greater stability in the lumbo–pelvic and hip regions can increase flexibility, generate power for throwing or rotational sports, and decrease lower–back pain and injury. A comprehensive Pilates mat or studio–equipment program designed to strengthen the trunk in all planes of motion can improve dynamic stability in the core. The emphasis Pilates places on the core, or "powerhouse," provides an environment for safely developing a base level of lumbo–pelvic stability &lpar;Kloubec 2010; Phrompaet et al. 2011&rpar;. As athletic clients improve their skills, challenges such as standing exercises, plank–based exercises, free weights and unstable surfaces can be added to provide a higher level of difficulty. Coaching in specific sport skills may be limited or nonexistent for recreational athletes. A good Pilates teacher with skills or experience in a client&apos;s activity of choice can act as a coach to help the client develop particular skills and optimize movement patterns. For example, if a client who played baseball or softball in college decides to join a recreational league in his or her late 30s, a Pilates teacher can work on leg alignment, strength and balance for running and core support, and can help to develop balance in rotation for throwing. A good teacher who understands the demands of an activity can analyze the strength, range of motion, coordination and movement patterns necessary for success, and can use the flexibility of the Pilates environment to tailor exercises to the client&apos;s sport. A Pilates expert can also address physical limitations that may hamper the client&apos;s chances of success. Many recreational or occasional athletes develop muscle imbalances and poor posture from combining a sedentary occupation with their sport. For example, bicycling has become the sport of choice for many middle–aged men and women. Cycling has obvious cardiorespiratory, strength and endurance benefits, but as a repetitive activity it puts strain on the lumbar spine, neck, shoulders, arms and legs. Combining daily work sitting at a desk with hours on a bicycle in deep hip flexion can decrease flexibility in the hip flexors and lower back, leading to stress in these areas. An appropriate Pilates program would emphasize hip, lumbar and thoracic extension to counteract the effects of repetitive stress in a seated positon. The same principle applies to rotational athletes such as tennis players or golfers. The asymmetrical nature of their activities can lead to misalignments and strength imbalances on either side of the body. A specifically designed Pilates program could target the neglected side of the body or work on the opposite movement pattern to cross–train the body and improve symmetry. Many professional athletes use Pilates to recover after their games. Recreational athletes can do the same. The relatively slow pace, full range of motion, light stimulation of the myofascial system and symmetrical movement patterns of Pilates help the body to recalibrate after the speed, stress and sudden forces of a game day. Athletic clients may find that a Pilates class after a big race or competition helps to improve circulation without increasing stress on the joints, muscles and other tissues of the body. Working a balanced program can reset the body&apos;s natural movement patterns and ease the aches and pains of a hard workout. Pilates has been used in rehabilitation settings for decades to help injured athletes recover, and this work can continue for clients ready for postrehab training with a fitness or wellness professional. The adjustability of equipment in a Pilates studio allows a client to begin at a very low level of resistance with a simple movement pattern, such as a knee bend, and gradually progress to higher resistance and more complicated moves. Pilates studio equipment can provide a wide range of resistance, assistance and vectors of force to replicate movement patterns of all kinds. 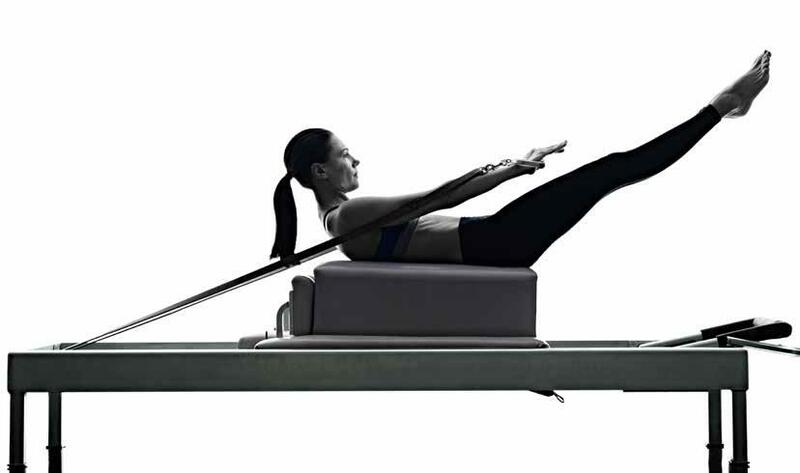 On the reformer, for example, a dancer with an injured meniscus &lpar;working with a physical therapist in a rehab setting&rpar; can slowly return to weight bearing on the compromised knee by starting supine with resistance well below body weight and incrementally progressing to jumping. Regardless of their preferred sport, recreational athletes can benefit from practicing Pilates one to three times a week &lpar;Kloubec 2011&rpar;. A skilled Pilates teacher can play a critical role in keeping these clients balanced, tuned up and ready for action. Taking two to three sessions a week can yield significant improvements in as little as 4 weeks. Working with an instructor who understands the demands of a client&apos;s sport is especially beneficial but is not always necessary. But with the help of a well–rounded Pilates routine, sport performance can improve even if the instructor is not familiar with the client&apos;s particular athletic activity. When training athletic clients, consider including Pilates &lpar;if you&apos;re qualified to teach it&rpar; or referring your clients to a reputable Pilates expert or studio. While select athletes have been quietly using Pilates for years, it&apos;s been a well-kept secret until now. Recently, though, basketball champion LeBron James of the Cleveland Cavaliers and soccer superstar Cristiano Ronaldo of Real Madrid—two of the world&apos;s highest-paid athletes &lpar;Forbes 2016&rpar;—have been showing off their Pilates moves on social media and crediting the method with keeping them in top form. Following their lead, professional athletes in several major sports—including basketball, football, soccer, baseball and hockey—have begun to incorporate Pilates into their training &lpar;Caple 2016; Knowlton 2016; Knowles 2016; Saxon 2016&rpar;. It improves core strength and stability, leading to greater hamstring flexibility and more speed. It increases explosive power for fast starts &lpar;from using the jumpboard on the reformer&rpar;. It improves body awareness and control, thereby enhancing movement skills. It minimizes imbalances caused by asymmetric exertion. 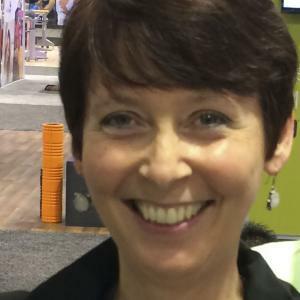 Anna Hartman MS, ATC, CSCS, of MovementREV in Scottsdale, Arizona, worked with professional athletes for years as lead physical therapist at EXOS®, formerly Athletes&apos; Performance, one of the premier organizations for training professional athletes. She used Pilates, along with detailed assessments and manual treatments, to return many athletes from injured to fully season-ready. Hartman found that re-educating athletes in the Pilates environment was critical in facilitating a quick return to the field and minimizing the likelihood of re-injury. Want more from Nora St. John? Caple, J. 2016. Hunter Pence credits Pilates with helping him prepare for season. Accessed Feb. 7, 2016. www.espn.com/blog/sweetspot/post/_/id/69106/hunter–pence–credits–pilates–with–helping–him–prepare–for–season. Forbes. 2016. The world&apos;s highest–paid athletes. Accessed Feb. 7, 2017. www.forbes.com/athletes/list/. Hoffman, J. 2010. CoreAlign 1 Foundations. CoreAlign 1 Manual &lpar;3rd ed.&rpar;, pp. 8–9. Podcast by Balanced Body. Kloubec, J. 2011. Pilates: How does it work and who needs it&quest; Muscle, Ligaments and Tendons, 1 &lpar;2&rpar;, 61–66. Kloubec, J.A. 2010. Pilates for improvement of muscle endurance, flexibility, balance, and posture. Journal of Strength and Conditioning Research, 24 &lpar;3&rpar;, 661–67. Knowles, J. 2016. Jonathan Toews following in Jake Arrieta&apos;s pilates footsteps. Accessed Feb. 7, 2017. www.chicagotribune.com/sports/hockey/blackhawks/ct–jonathan–toews–jake–arrieta–pilates–20160519–story.html. Knowlton, E. 2016. Cubs ace Jake Arrieta explains how Pilates helped turn him into one of the best pitchers in baseball. Accessed Feb. 7, 2017. www.businessinsider.com/cubs–jake–arrieta–used–pilates–became–one–of–best–mlb–pitchers–2016–3. Lucier, M. 2015. Why these 7 NFL receivers do Pilates. Accessed Feb. 7, 2017. www.stack.com/a/wide–receivers–pilates. Phrompaet, S., et al., 2011. Effects of Pilates training on lumbo–pelvic stability and flexibility. Asian Journal of Sports Medicine, 2 &lpar;1&rpar;, 16–22. Romani–Ruby, C. 2016. 5 performance benefits of Pilates. Accessed Feb. 7, 2017. www.stack.com/a/5–performance–benefits–of–pilates. Saxon, M. 2016. Cardinals&apos; latest training method: pilates. Accessed Feb. 7, 2017. www.espn.com/blog/st–louis–cardinals/post/_/id/159/cardinals–latest–training–method–pilates. Nora St. John has been teaching Pilates in rehabilitation and studio settings for 20 years. She has a comprehensive background in dance, acupuncture, massage and meditation and weaves her many passions together to create presentations that address the body from a compassionate and healing point of view. ... read more.